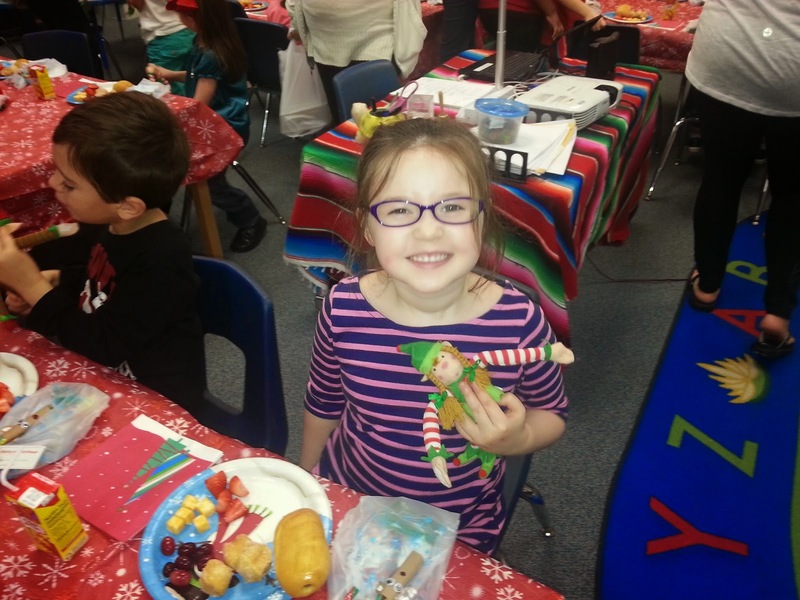 Emma had her class Christmas party on Friday, and I went up there to help her celebrate. 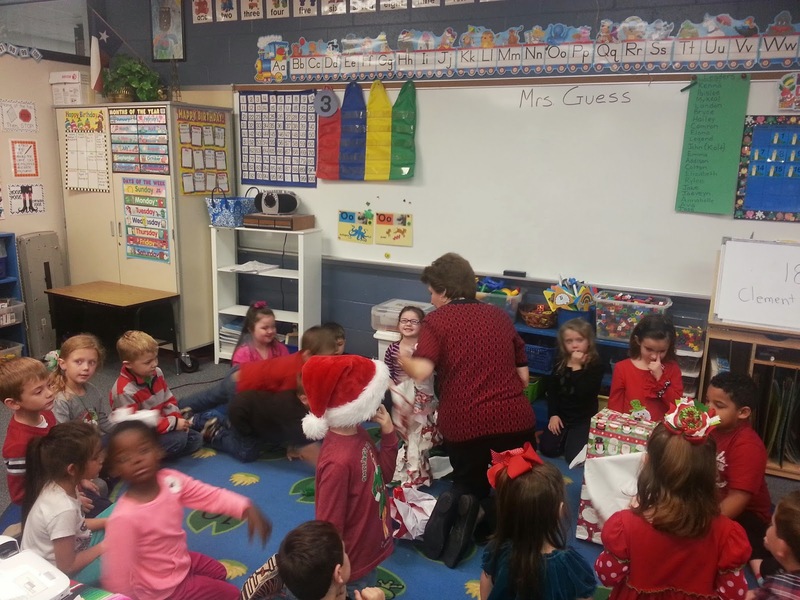 Ms. Murray had one gift for the class that was wrapped, and the gift had a layer of paper for each kid to have a turn opening it. 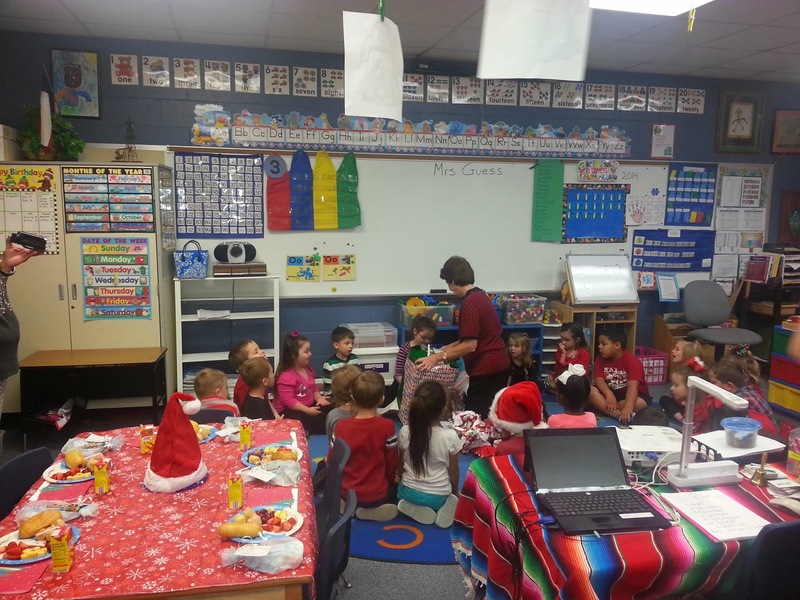 They each received a cute elf to take home, along with a bag of candy. Emma had a lot of fun with her friends.